The Oil-Free Rotary Tooth Compressor provides reliable, compressed oil-free air for applications requiring the highest level of air purity, such as food and beverage processing, and pharmaceutical, textile, and electronic manufacturing. It is an air-cooled, 2 stage compressor constructed with premium components. A VFD controller is available as an energy cost saving option. 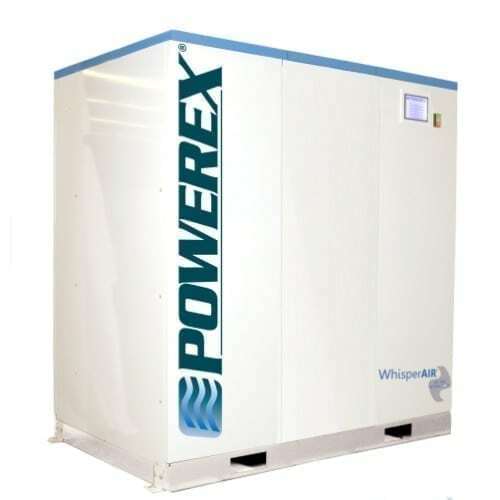 Powerex’s trademarked oil-free enclosure systems offer the lowest noise levels in the industry. Each system is packaged in a rigid steel frame with powder coated panels and lined with sound-deadening insulation. The low noise levels are unmatched in the industry and allow installation at the point of use, while the small footprint simultaneously maximizes floor space. Powerex Rotary Tooth Compressor Systems help ensure your facility exceeds the standards of all recognized GMP schemes, including SQF and BCAS, as well as complying with FDA Title 21CFR, Part 110.40 (g). 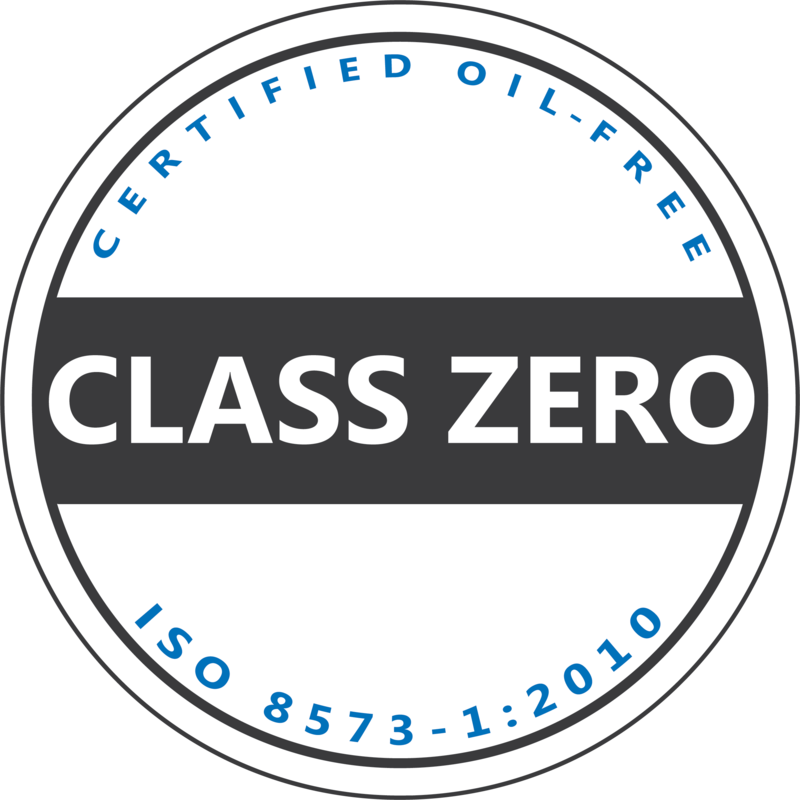 The 100% oil-free air compression chamber provides ISO 8753-1 “Class 0” equivalent air for oil content, ensuring that product is never contaminated with oil and eliminating the need for costly “food grade” compressor oil and/or additional oil filtration. Powerex oil-free compressors provide an excellent HACCP solution by eliminating a contamination risk point.